It scares me a lot, thinking of Dad out there, far away in that dangerous, terrible place, wondering how it will be when he comes back-if he comes back, that is . . . Marie's dad has been away for two years, fighting on the Somme battlefields in northern France. For months there has been no word from him, no letters or postcards. Marie and her mother are sick with worry, so they decide to stop waiting-and instead travel to France, to try to find out what has happened to him. 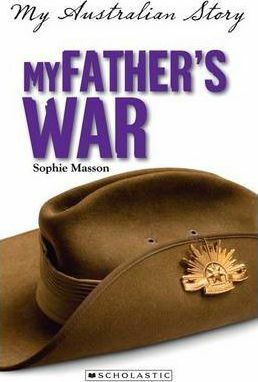 There she experiences first-hand what war is like, as she tries to piece together the clues behind her dad's disappearance. Will Marie ever see her father again?